PREMIUM - Craven House is the most ideal location for both business and leisure travellers. Situated right next to the historic Hampton Court Palace it has stunning views over Bushy Park and offers a selection of serviced apartments on a short let basis from a minimum of two nights. The Upper Garden Suite offers a stunning and spacious accommodation with a large master bedroom with an Emperor size bed, beautiful kitchen/living room, modern en-suite bathroom with separate toilet area and sofa bed, enabling you to sleep a further two people if required. 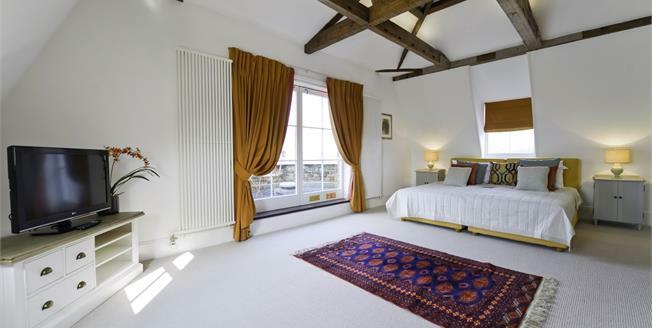 All rooms in this apartment have a balcony over looking Bushy Park and shared use of lovely courtyard garden. The apartment comes fully equipped with TV and DVD player, pans, crockery and cutlery towels and all linen. The rent also includes internet access.